Technological advances in genomics are revolutionising life sciences. Whole genomes can be sequenced with ease, full communities can be characterised by their genetic content, the spread of pathogens and emerging diseases can be investigated at the molecular level, and traits can be mapped with base-pair precision. As DNA sequence technologies are producing more and more data every day at an ever-decreasing cost, there is a clear need for specialists in this rapidly-evolving field. Why study MSc Applied Genomics at Middlesex University? This is an interdisciplinary programme with teaching provided by Life Sciences and Computer Science research active academics as well as other experts in the field. You will gain a comprehensive understanding of genomics principles and methodology to investigate economically and ecologically relevant traits. You will be trained to pursue a genomics career in the life sciences sector. This programme has a strong applied and practical focus. You will use cutting edge technology to generate novel sequence datasets and analyse these over the course of the programme. A hands-on approach will give you the practical and computational skills in genomics in our laboratories and computing facilities; skills needed for a successful career in genomics. Individual dissertation project allows high degree of specialisation in sub-area of own interest. What will you study on MSc Applied Genomics? This programme will provide you with a solid understanding of the structural complexity of genomes, their evolution and the sophisticated processes underlying gene control. In conjunction, specialist classes will provide you with practical skills via molecular biology laboratory sessions focused on genome sequencing. Computational tools and statistical techniques for whole genome research will be introduced using real datasets and will specifically focus on coding, data handling and the analysis of large sequential datasets. A strong link between research and teaching ensures you will develop good practical skills in genomics, preparing you for the job market. You will gain practical skills in molecular biology, including sample handling and laboratory management, as well as critical research skills in genomics. The programme also aims to teach computing skills including computing languages and statistical analysis of big data. In this module, you will be equipped with the theoretical and algorithmic basis for analysing large, multidimensional genomics datasets. This module aims to give you a comprehensive understanding of molecular biology techniques in genomics and relevant sample and data-processing skills. The module aims to provide you with the theoretical and technical skills to compare genomic data among organisms, with a focus on detecting structural changes, pinpointing genetic similarities and differences, and investigating biological diversity. The module aims to give you a thorough understanding of how evolutionary processes affect the genome and what can be concluded from such changes. In this module, you will gain a detailed understanding of the structural complexity of genomes, their maintenance, and the intricate regulation of gene expression via molecular interactions and biochemical modifications. This module explores the ethical issues present in the rapidly developing area of genetic technology, including genetic testing and selection, genetic engineering and the concept of genetic disease. This module comprises an individual research project where you will have the opportunity to work with a research supervisor in a project of your chosen field. How is the MSc Applied Genomics taught? The programme is taught through a mixture of lectures, seminars, computing workshops and investigative molecular and clinical laboratories. You are encouraged to actively engage with the learning activities. Group work is prominent in many modules and there will be opportunities to discuss and explore work with peers, academics and the technical team. Genomics of pesticide resistance in economically relevant fish parasites. Assessment is diverse and includes portfolio-work, writing a scientific paper, analysing genomic data, preparing a poster and presenting results. Additionally, you will submit a dissertation on your major research project and undertake a viva related to the work. The project will be supervised by a member of academic staff, but you are strongly encouraged to work with external partner institutions in the UK or overseas. In this case, you may also have a mentor based at the external institution. We usually require a lower second 2:2 honours degree or above in a field strongly related to Biological or Biomedical Sciences. Students with other qualifications or experience are invited to contact the programme leader to discuss their suitability for the programme. There may be a formal interview. Entry onto this course does not require an interview, portfolio or audition unless you do not have standard entry requirements. Applications for postgraduate study should be made directly to the university. Please visit our Postgraduate application page for further information and to apply. 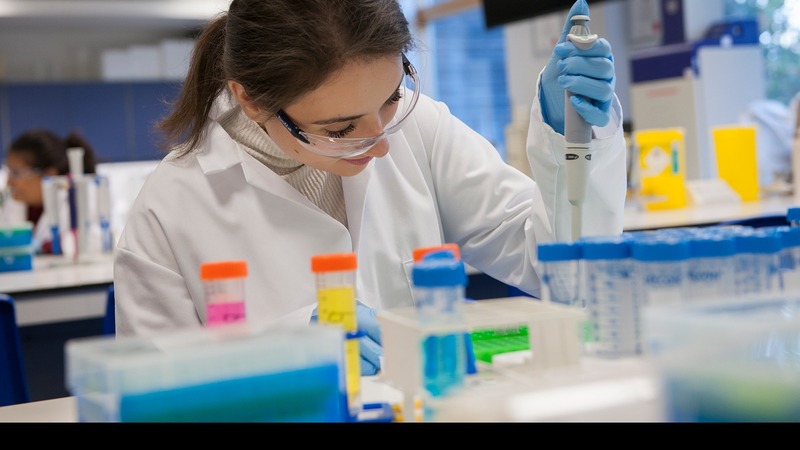 How can the MSc Applied Genomics support your career? This course encompasses several real-life research projects that will prepare you for your dissertation and for the job market. These projects will be of clinical, forensics or ecological relevance. You will gain hands-on experience via the generation of genomics datasets, research planning and laboratory management, bioinformatics analyses and reporting. Upon graduation, you will be able to move into a variety of careers such as Plant Breeder, Molecular Geneticist, DNA-Based Ecological Assessment, Molecular Diagnostics, Bioinformatician or progress into academic research.